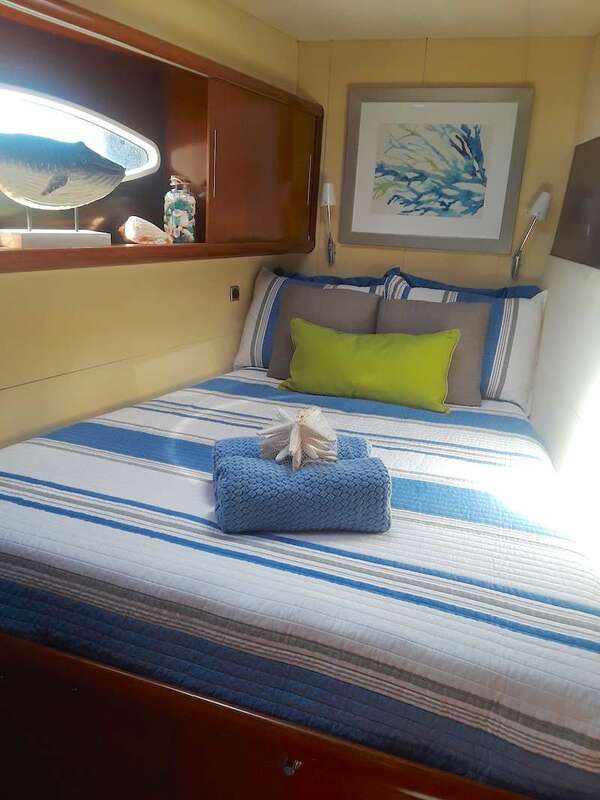 DELPHINE, a custom built 60ft. 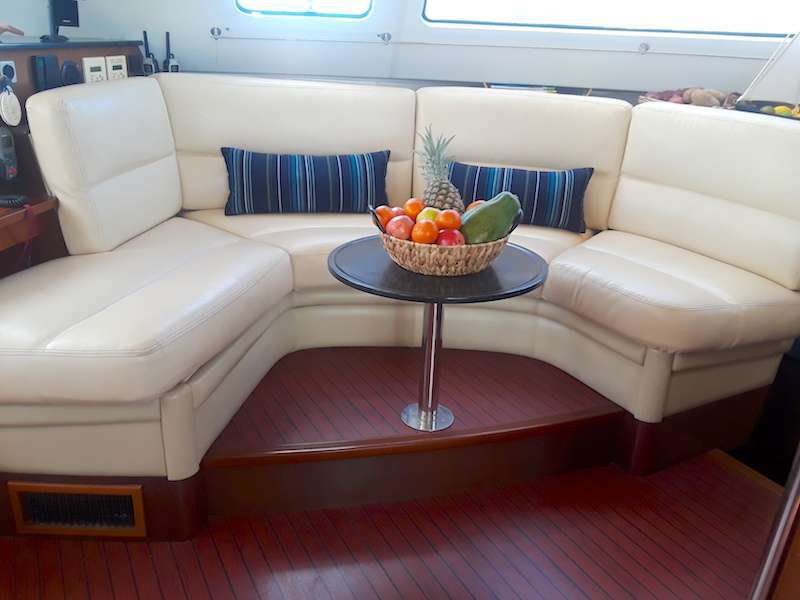 Fountaine Pajot crewed charter yacht, welcomes you with an old-world charm, featuring an interior of dark warm wood harmoniously contrasted with light oak floors and white headlining. The salon and dining area are open, elegant and provide plenty of natural light and panoramic views. 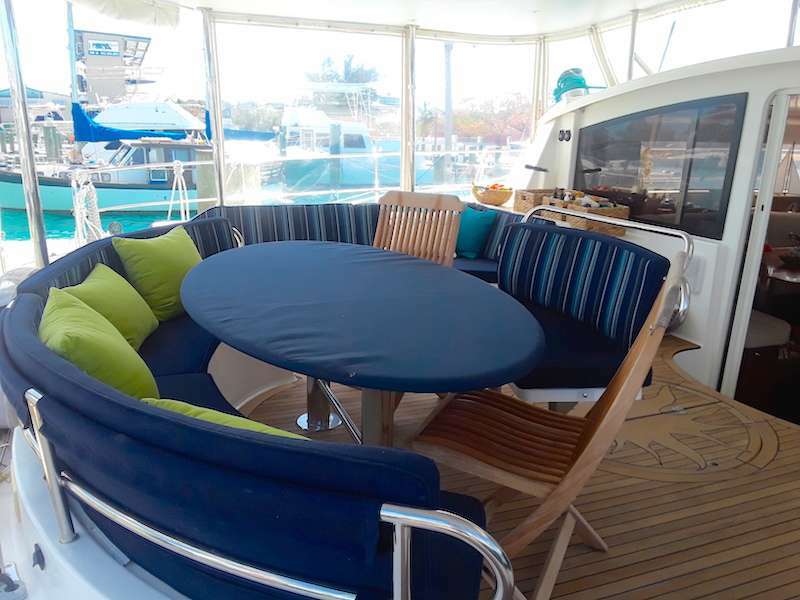 The aft deck is shaded and has an alfresco dining option and lots of additional seating. Two large sugar scoop transoms provide effortless water access to the azure Caribbean seas. The decks wrap around the yacht, allowing guest to walk freely, finding two generous trampolines forward that are perfect for sunning, relaxing or evening star gazing. 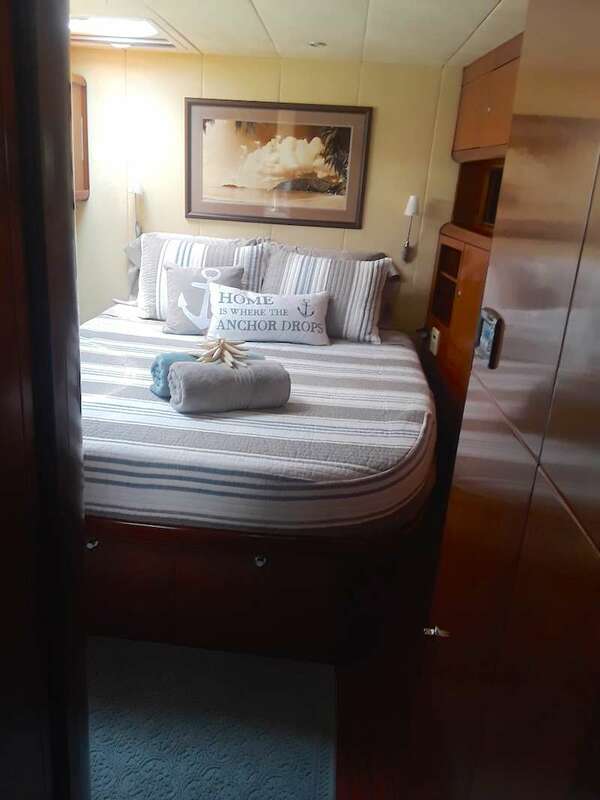 Delphine is fully air conditioned and can accommodate 6 guests in three queen suites, with en-suite separate showers/electric heads. In the salon, TV entertainment from a 40 flat screen is ideal for a relaxed evening or relax to music of your choice. 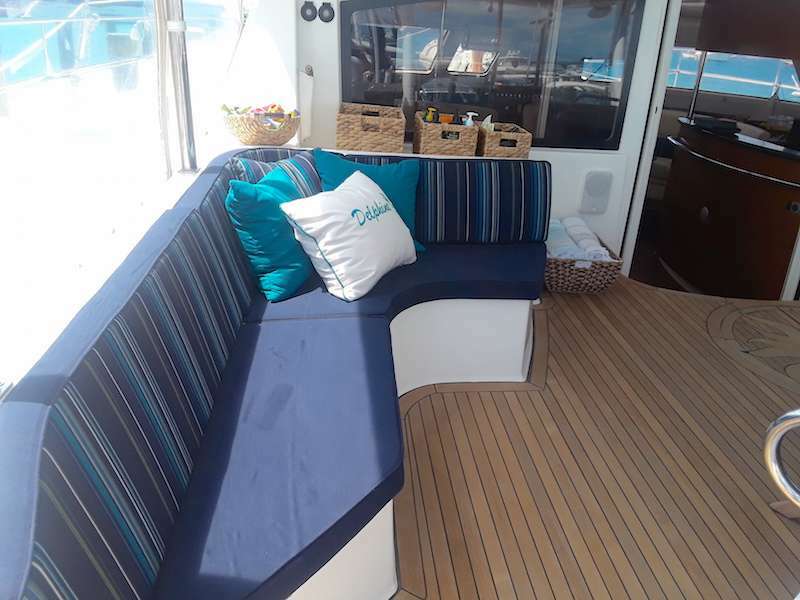 The catamaran is a fabulous choice for comfortable, spacious sailing with family or friends. DELPHINE, a 60 ft. custom Fountain Pajot refit in 2018, welcomes you with "old-world" warmth and charm and lots of natural light and panoramic views from the salon. 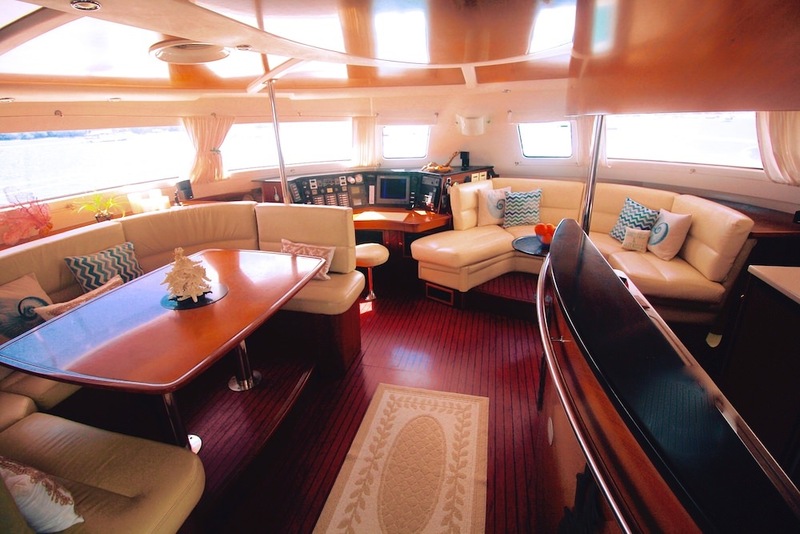 She is fully air conditioned and offers up to 6 guests, three queen suites with en-suite showers/electric heads.